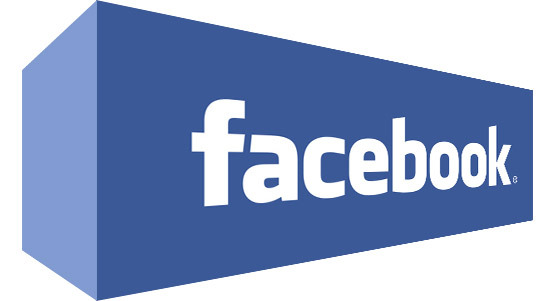 Facebook supported animated photos known as gif photos but then they removed support for gif images and from that time, Facebook converts gif images uploaded to static images. Gifs are good way to express anything you want. Tumblr is full of gif images; it seems that gifs have taken over tumblr. Now giphy got gif support back to Facebook (I should not say gif support but a kind of). 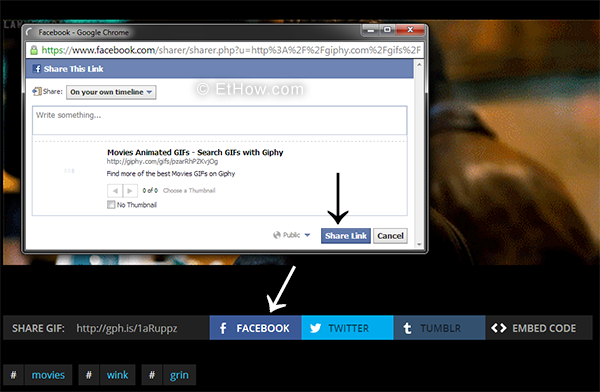 You can go to giphy and share images you like to facebook with a click. Gifs shared from giphy are not played automatically. You have to click on play button to see what that gif is saying. Maybe most of you know that Facebook rolled out shared albums using which you and your friends can upload photos to single album and it’ll be shown in all contributor’s profile. I got this shared album today so I thought to make a step-by-step guide of it. You can create new shared album or just convert existing album to shared album. Update: New notification bar with more customization is released. Have a look on it. Hellobar is famous all around the world but it costs too much. Hello bar provides 25 free clicks per month. If you have good traffic then you will run out of clicks soon or you can upgrade to 100 clicks by paying $4.95 per month. They have some more plans with more clicks and money. I am not saying that hellobar is not good. That is awesome but only if you can spend money on it. If you do not want to spend money for hello bar then here is a notification bar that I coded. It is an excellent alternative to Hello bar and you can get unlimited clicks for free. Have a look on image at top for demo. I know you may like notification bar that I am using on my blog at this time. If yes then keep calm I'll share that soon with you guys. 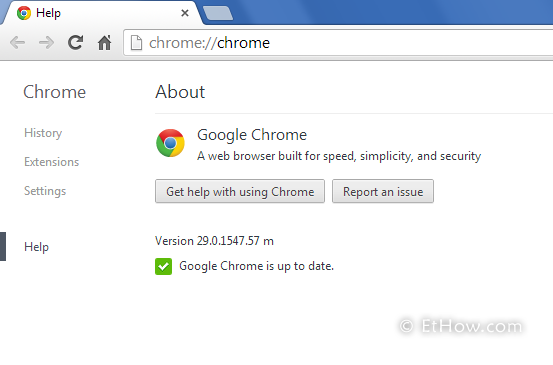 Two days ago Google released new version of Google Chrome (29.0.1547.57). I did not realize when I got my Chrome updated because of its silent updater but I found some new features that made me think I did something wrong with chrome. Its updated omnibox seems little bit weird but now it can show those links at top that you visited recently (show results relevant to those you've visited). They also integrated desktop notifications in Chrome (Google's rich notifications) for Mac users. These days cloud storage is really not too much expensive but still there are people like me who don't want to spend money for such purpose. I am only using 1.3GB Google Drive storage because I only uploaded some important documents there and rest of my important files in some external Hard Drives. 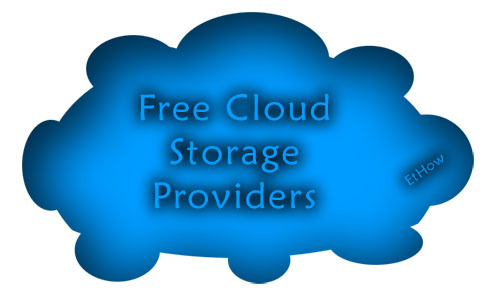 Because of this I don't need to upgrade my storage plan but if you want to backup your files on cloud without paying for it then you can go for free cloud storage providers e.g. Google Drive or SkyDrive. I am going to explain how you can get 34GB for free. Users of MobileMe got 20 GB of free storage when they moved to iCloud. Now that plan is going to expire on 30/09/2013 and apple will downgrade users to free plan that is providing 5 GB of storage. What if you have more than 5 GB of storage used? You have to free up space by deleting unused files or upgrade to some paid plan. But Microsoft (SkyDrive) is taking benefit from this downgrade. They are giving away free 15 GB additional storage for one year to users of iCloud who got downgrade email from apple. Free storage provided to everyone by SkyDrive is 7 GB and if you get 15 GB more you'll have 22 GB of free storage. Earlier I posted about changes that opera 15 got. New Opera 15 is now based on Chromium engine (Chrome is also using it). Latest versions of Opera and Chrome have too many common things. 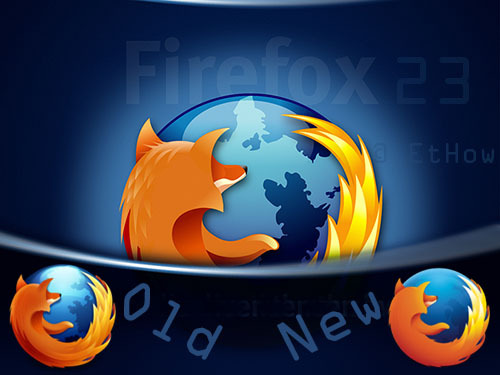 Because of same rendering engine now you can install Chrome’s extensions in Opera and Opera’s in Chrome. Installing chrome’s extensions in opera is easier. Did you ever wanted live broadcast on YouTube? If yes then here is good news for you. 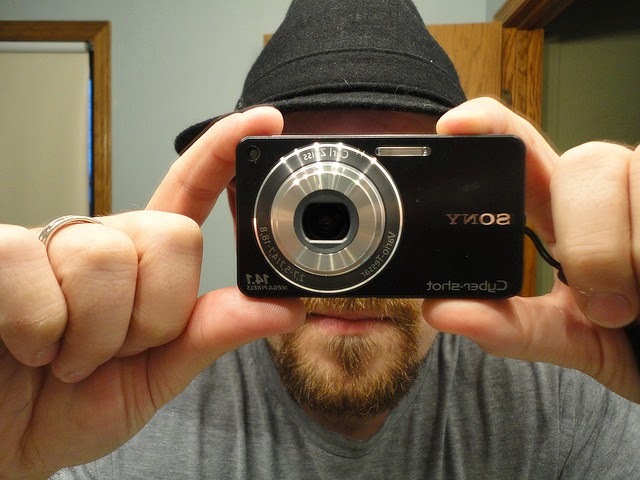 You can broadcast your live video if you have 100 or more subscribers and your channel should be in good standing condition. Previously live broadcasting was for those who had more than 1000 subscribers but now small business or individual channel administrators got chance to broadcast live videos. Visit account features page click on enable button if you want to get live streaming feature. According to YouTube this feature will be available in few weeks. Social networking is growing every day. Now people think it essential to sign up for Facebook, Twitter and Google+. Everyone knows how to use any of these websites perfectly. I am sharing this post because maybe some of you don’t know that you can surf these websites more quickly. 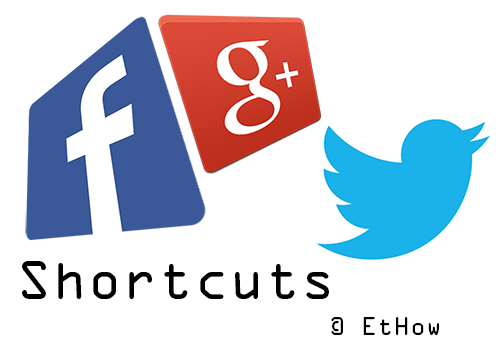 There are some keyboard shortcuts which can increase your speed over social networks. FAT32 was developed for older versions of windows (For Windows NT). It has less security than NTFS. It was included with Windows 95, 98 and Windows Me. It is suitable if you want to install some old version of windows i.e. You can install windows 98, or other older versions along with newer version. But you'll need FAT32 file system for better performance of older windows because they do not support NTFS. 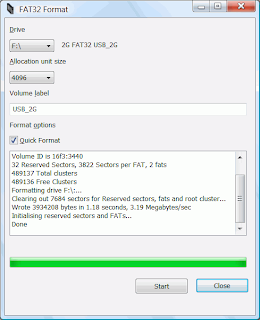 FAT32 only support hard drive of upta 2TB in size and microsoft Windows 2000 can only work with FAT32 partition having no more than 32 GB of space and windows XP does not let you format partition or drive having more than 32GB of space.